Coyo is a fruit from Central America. It is a close relative of avocado. Coyo is believed to be native to certain areas of Mexico and Panama at altitudes between 1,400 m to 1,900 m.
Though most commonly used English name for this fruit is “wild avocado”, but coyo fruits do not come from wild. Coyo is also cultivated cultivated in home gardens and in shaded coffee and cacao plantings in Mexico, Belize, Guatemala, Honduras, Costa Rica etc. 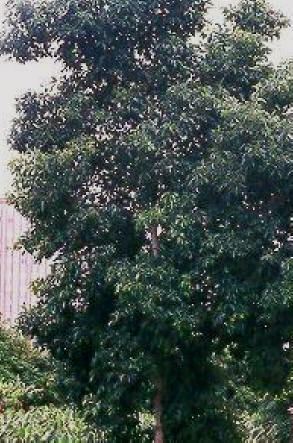 A deciduous tree, 20 m high, occasionally reaching 50 m; young branches very pubescent. 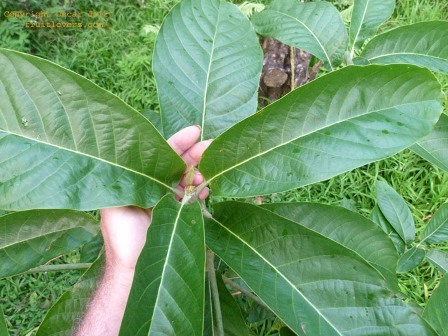 Leaves large, pubescent, the anise scent of the Mexican race avocados absent. 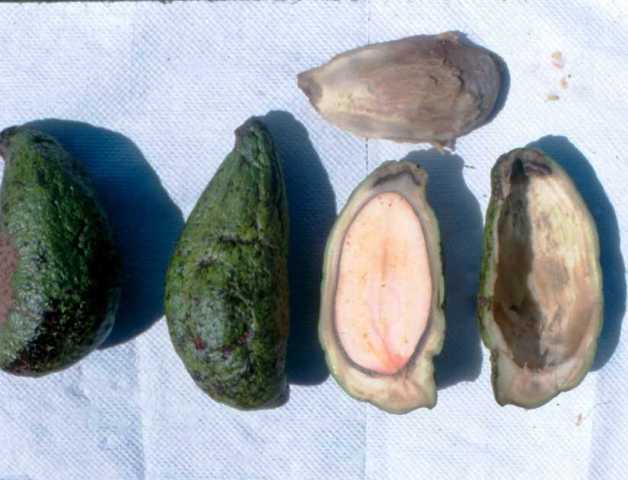 Fruit pyriform, closely resembling that of the avocado; skin thin, leathery, colour varying from green to black, brown, and purple; flesh oily, gritty, with a milky juice; tastes like an avocado or coconut. Coyo fruits are widely eaten. These are also offered for sale. The flesh has, however, stone cells and somewhat gritty texture. This is often considered a negative point for edible consumption. Otherwise the taste of coyo fruits is quite appealing. In Mexico, coyo is typically eaten by halving the fruit, removing the seed, and filling the seed hole with a salsa of red chile, salt and raw garlic. The salsa and coyo pulp are then mashed together and then eaten. Coyo fruits are widely used by local people, particularly in villages. These are also traded. No only that, sometimes the local people rate coyo superior to a avocado. But still coyo is not cultivated much. Coyo needs and deserves to be promoted as a cultivated fruit. New plants are raised from seed. The seedlings take very long to come into bearing which is major factor of discouragement. 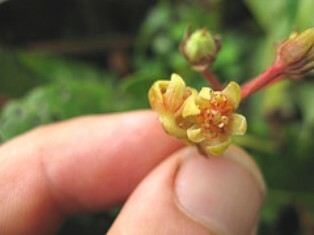 To overcome this, new plants should be raised by grafting.